You can imagine that having a brand new little one makes time for ourselves practically non-existant. Some days, just being able of completing daily grooming habits and eat an actual meal (not just leftovers or snacks) for unless once a day feels like winning the first place in a marathon. On the other hand, I love to connect with others, specially with fellow creatives at heart. So I reached out to Andrea from my favorite studio in San Jose -A Work Of Heart- and told her my idea: I want to host a meet up for creative moms with babies in your studio. Is this doable? And the answer was… yes! So, this is a calling for all those moms in the Bay Area with their babies (0-12months). 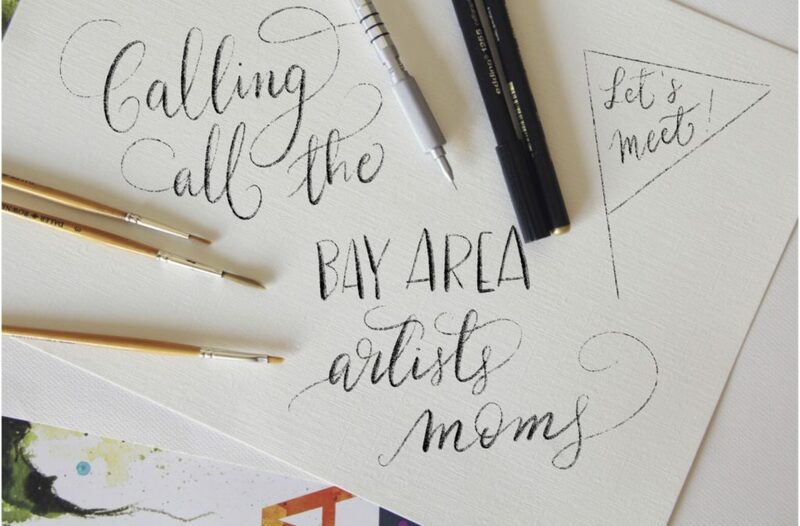 A calling for all those Moms who love painting, drawing, crafting… moms who find joy in a creative life (even if that means coloring books!). We’re going to meet -bring your baby, they are included in this plan- and spend an hour together, enjoying a nice conversation while attempting to create something. And the best part is, we just pay the studio hour and we can use also the materials available there! That means we don’t need to bring art supplies, and thank goodness because to be honest, the ones we have are already occupied carrying a baby, diaper bag, car seat, stroller, etc etc. Ah! And cellphones of course! So fellow creative moms, let’s meet at A Work Of Heart with our babies on Tuesday June 19th at 10 am. Remember: We are moms who share a creative interest. We won’t freak out if a baby cries or if you, like me, have a messy bun and the last t-shirt you had in the closet. Life with a baby is hard and we know it! Are you coming? I want to meet you and your little one!